The title of this blog is Crosscutting Conversations in Education: Research, Reflections, and Practice. We created this title to express the anticipated content of the blog. We envision “crosscutting conversations” as discourse where multiple parties contribute their voices. We hope discussions will involve many perspectives cutting across disciplines, philosophical traditions, and contexts to illuminate relationships, point to common ground, and provide pathways for growth for all involved. The word “Education” in the title indicates the domain of this discourse. Education can be conceptualized in myriad ways; this blog does not take a formal stance on a particular conception of education. Authors may claim their own understandings of what constitutes education, or their stances may become clear as they locate themselves within the world of education. We welcome this diversity and the discussions it may provoke. The subtitles, Research, Reflections, and Practice, point to potential topics for posts. Authors are engaged in their own ways with research, reflection, and the practice of education. This blog is a space for conversations about and emerging from these interrelated foci. Again, this blog does not seek to define these terms; rather they are offered to authors and readers to animate with their own meaning. We hope to present posts regularly from our volunteer authors. Writers will use this forum to develop and express their thinking on topics meaningful to them. 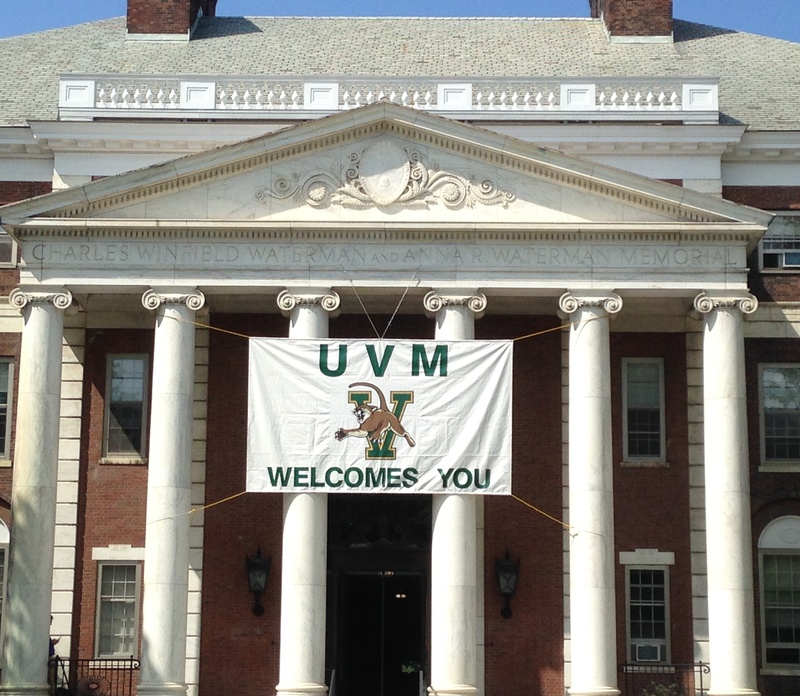 We hope to find an audience both within and beyond the University of Vermont community. The comments section will provide a space for continued discourse on the issues presented in the parent post. Content on this blog is the original work of the authors and only expresses their viewpoints. Neither the University of Vermont nor the College of Education and Social Services endorses the presented opinions. An editorial board made up of peers provides feedback on posts’ alignment with the stated purpose of the blog and the University’s community values. Comments are similarly moderated. Authors are affiliated with the Educational Leadership and Policy Studies doctoral program at the University of Vermont. All students and professors in the program have been invited to participate, and all participation is voluntary. Our student body consists of individuals with many roles: teachers, community leaders, administrators, writers, activists, policy makers, parents, researchers, dreamers… and the list goes on. We have experiences in different levels of the formal education system, from pre-K to higher ed and beyond. We have different ages, genders, backgrounds, ethnicities, and hometowns. What we share is a desire to learn and grow. We hope that you, the reader, will find interesting content here. We think you may find these pieces affirming, challenging, motivating, and/or thought-provoking. When that is the case, we invite you to participate in our crosscutting conversations. This entry was posted in Uncategorized and tagged education, mission statement, policy by Mark W. Olofson. Bookmark the permalink. Mark is in the third year in the EDLP Ph.D. program at the University of Vermont. His research interests include modeling teacher knowledge in technology-rich learning environments, the effects of adverse childhood experiences and residential mobility on early learners, and the globalization of public school privatization policies. When he isn't reading, writing, or discussion education, Mark enjoys backpacking, whitewater paddling, and bicycle touring.